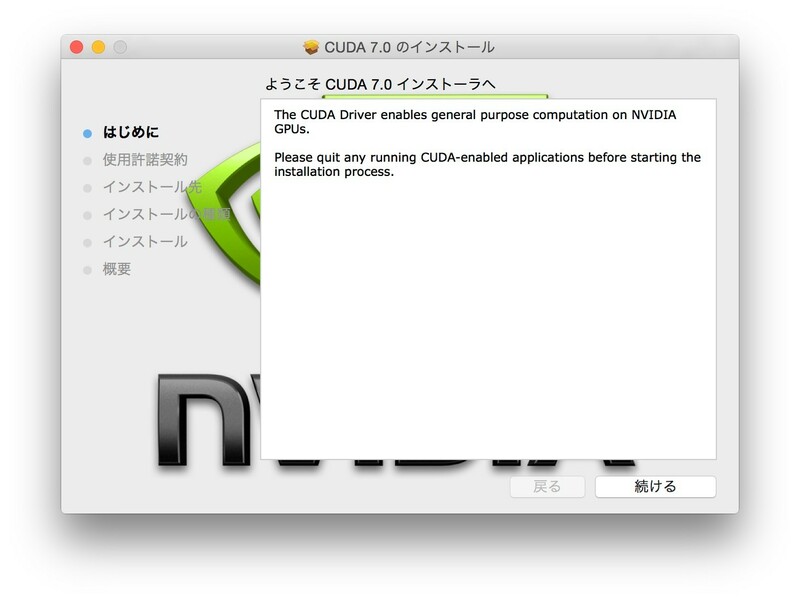 NVIDIA、OS X 10.10.4 Yosemiteに対応した最新のCUDAドライバを公開。 | AAPL Ch. 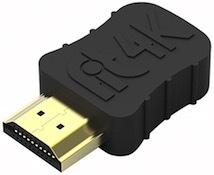 In order to run Mac OS X Applications that leverage the CUDA architecture of certain NVIDIA graphics cards, users will need to download and install the 7.0.52 driver for Mac located here. 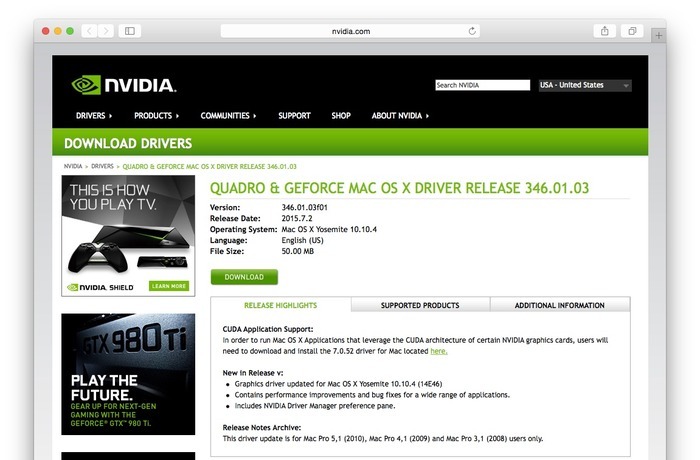 Dell 5K + GTX 980 works w/ OS X 10.10.4 + NVIDIA 346.01.03f01 driver but had to install using GTX 680 to avoid kernel panic.